By: Mark A. Moore Senior Executive, Smooth Jazz Entertainment LLC. I was sitting at home on Sunday night with my wife watching the millionth episode of some show centered on rebuilding a home in a neighborhood I have no interest on living in. Perhaps she was giving me, yet another subtle hint! While sitting at my computer, I got a quick message via Facebook from my friend telling me that a jam session was about to go down at Andy’s Jazz club on Hubbard St. Ever elated and truly grateful for the escape, I quickly changed clothes and headed over to what I knew would be an eventful evening. I had the pleasure of visiting a jam session hosted by jazz vocalist Rose Colella. It was held at the legendary Jazz Showcase. After the final set was played, I took some time speak to her. Rose is a lovely lady, blessed with height and an incredible singing voice. Her gentle, engaging presence is warm and friendly—the type of person you’ve never met, yet always known. After waltzing through the chairs and tables closest to the stage we engaged in a very memorable exchange. I simply asked her, “Why did you choose to do this?” Rose explained that these sessions were “a great way to meet some other talented musicians in the city”. In her mind, jam sessions are simply a continuum of the jazz movement that will evolve and nurture talent. Unfortunately, Rose’s jam session series at the Jazz Showcase has ended, but we should not despair. Jam sessions are alive and well in the city. Chicago is a breeding ground for musical talent, making it an attractive setting to artists who happen to be in town. The incredibly talented jazz saxophonist and clarinetist Victor Goines sat in with the band during two sets. His incredible tone, delivery and artistry added excitement to performance. In addition, some ofChicago’s best and brightest graced the stage as well. Marquis Hill (trumpet), Greg Spero (piano), Brent Griffin Jr. (alto saxophone), Samuel Jewell (drums), Christopher McBride (alto saxophone), and Milton Suggs (vocals) represented the future of jazz music with enthusiasm and energy. Together they played a spirited rendition of Dizzy Gillespie’s “A Night inTunisia”. It was an uplifting night of great music and unparalleled camaraderie. I certainly got what I was looking for. Dating back to the late 1930’s, jam sessions have always played an integral part of the jazz experience. They are notarized by their nostalgic yet cliché connotations. We’ve all seen the imagery of the speakeasy; complete with hot jazz music in bawdy surroundings in cities like Chicago,New York and New Orleans. The jam session was a place of enlightenment; a completely integrated environment. It was a chance for an artist to make a statement and to express themselves. An artist had to earn respect from their peers regardless of your race. Imitation was frowned upon. Forget about sounding like Dizzy or playing like Coltrane. You had to find a way to create your own sound. By today’s standards, the jam session is less about the surroundings and more about the interpretations and improvisations. 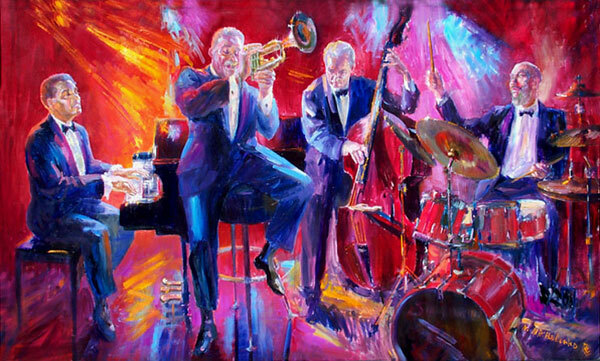 Most jam sessions are held at jazz clubs across the country. A common tune or jazz standard is selected and just like that… they’re off! Any musician who has participated in one will tell you: It is best that you bring your “A” game. There is an element of competition and showmanship displayed by the artists. Skills are honed and passed on. It is where old meets new, pushing the art form forward, creating new movements. Listed below are jam sessions that are hosted regularly around the city of Chicago. 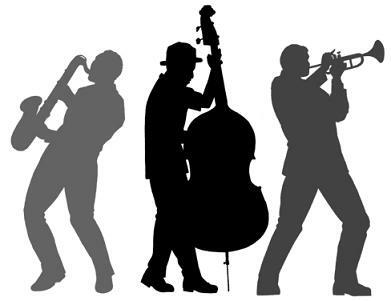 If you love jazz, you should make every effort to check them out. If you know of others, please send them to smoothjazzenterainmentinfo@gmail.com . We would be happy to list them on our website as well.